Directed by M. Night Shyamalan. 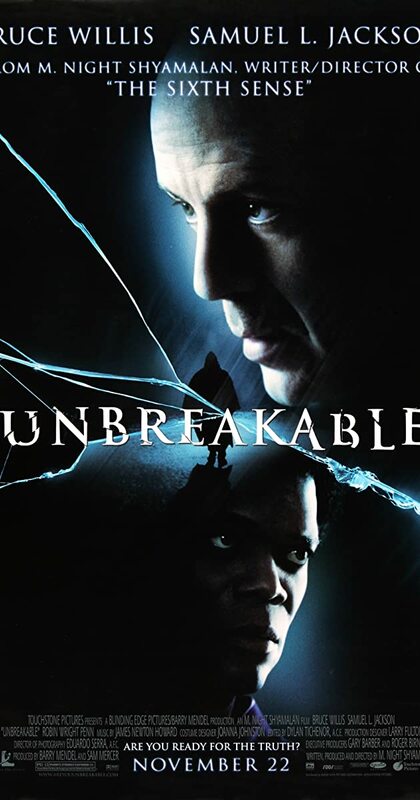 With Bruce Willis, Samuel L. Jackson, Robin Wright, Spencer Treat Clark. A man learns something extraordinary about himself after a devastating accident.